When you hear the word “dentures,” you probably automatically envision an old person with false teeth. You might be surprised to know that dentures aren’t just for “old” people, but they can help replace the smile of a young person, too! Tooth loss knows no age; however, there are some unique factors to wearing dentures in Carrollton as a young person. Read on to find out more about living a confident life with dentures. Whether you are missing a few or all your teeth, dentures can be a great alternative to restoring your smile. Your dentist in Carrollton will suggest either partial or full dentures depending on the number of missing teeth. These gum-colored teeth replacements are affordable, efficient, and worn by millions of people across the world. 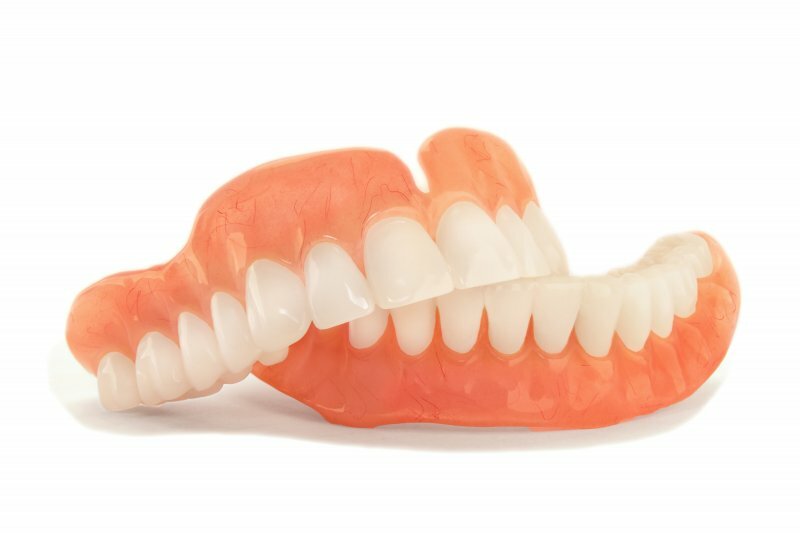 Dentures are lightweight and made from a combination of metals and synthetic material, and they are long-lasting and replicate the look and feel of natural teeth. Why Do Young People Often Need Dentures? Gum disease. This can affect anyone, at any age. When gum disease worsens, it can lead to missing teeth. Ectodermal Dysplasia. This can be a dental abnormality (missing or fewer teeth). Gastrointestinal reflux. This can lead to tooth erosion. What Are Some Unique Factors? As a young person, you should know there are a few unique factors you’ll need to know about living with dentures. Your dentist in Carrollton will offer a few options while your gums are changing shape to make way for permanent dentures. You may choose to go without teeth or have immediate dentures during the interim period. Your dentist may also suggest implant-retained dentures. These act as the tooth root and are secured into the jawbone. These do take a few months to ensure a proper fit, and you must have enough bone to support the implant. Brush them. Make sure you are brushing daily to prevent food and plaque from building or stains from forming. Prevent Dryness. Once removed, keep them soaking in a denture cleanser solution or in regular water. Hot water can cause dentures to warp, so avoid at all costs. Practice good oral health. Brushing your gums, tongue, and palate with a soft-bristled toothbrush helps to remove plaque. Talk to your dentist. If your dentures become damaged, don’t try to fix them yourself. Schedule an appointment to have a pro determine the best method of care. As a young person, wearing dentures can seem embarrassing, but it doesn’t have to be! Your dentist will listen to your concerns, making sure to not only provide the best option but the best level of care. Pretty soon, you’ll be on your way with a newer, healthier smile, and the best part is, no one will know the difference! If you’re looking for compassionate care from a team of dental experts who strive to provide comfort and transparency, DD Family Dentistry is the place for you! We ensure you are given all the information needed to make an educated decision when it comes to treatment options. Not only do we practice preventative dentistry, but we offer restorative dental treatments to help preserve and protect your oral health. To learn more about us and our services, contact us at (972) 245-3395. Call Us Today! (972) 245-3395 Have Questions? Get Answers.